Disney’s plans for an immersive Westworld-style hotel and resort that puts you inside the Star Wars universe is generating galactic buzz. The project was teased at last week’s D23 Expo and will be part of a massive Star Wars-themed area set to open at Disney World. In fact, Disney has been investing like crazy in its theme parks, with large-scale projects based on Toy Story, Marvel, Tron, and others in the works. A few trends in Disney’s business help explain why. First, its largest and most profitable segment has long been Media Networks, which raked in $7.6 billion in operating income last year. But growth is slowing in that area thanks mostly to changes in the way people watch TV. 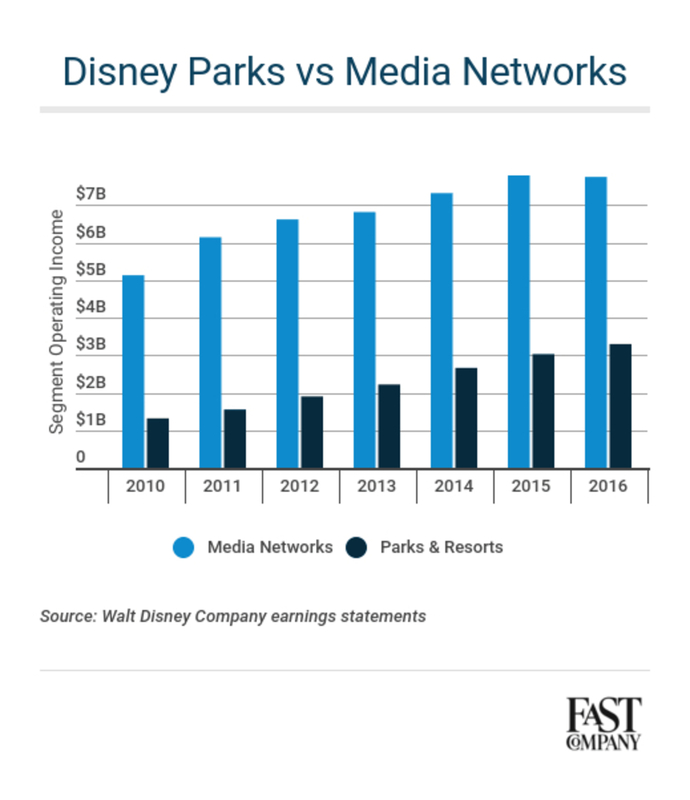 Cord-cutting is a real and growing problem for Disney-owned networks like ESPN and ABC. How to make up the difference? Enter Parks & Resorts, a smaller segment but increasingly vital to Disney’s future. Theme-park operating income has more than doubled since 2010, even as TV profits have leveled off. So expect to see an even greater emphasis on theme parks in the years to come. The takeaway? Fire up your lightsaber and do your Star Wars cosplay with abandon. Disney needs it.